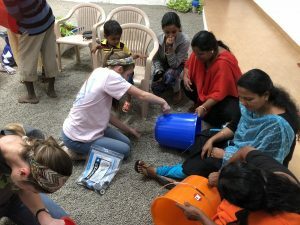 This blog post was written by Shana Nunez, one of the members of the team who traveled to Delhi, Kerala, and Andhra Pradesh in early January to distribute water filters, receive updates on previous projects, and research future water project needs. We are grateful to them, and to our partner in India, Hope Abides, for their work and fundraising for these projects! The team with community members after distributing water filters! 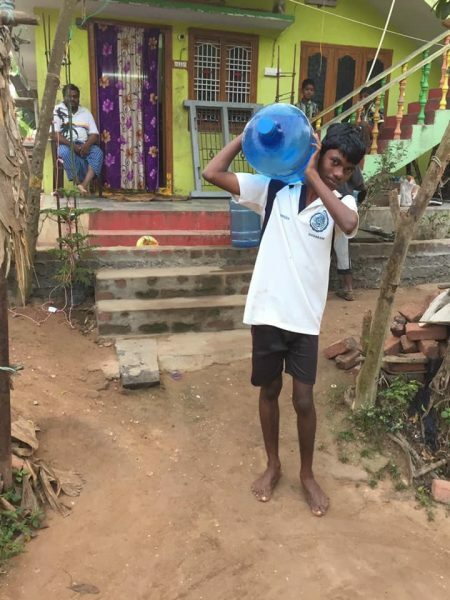 In the state of Kerala we worked with the KESS organization to distribute 100 water filters to women and families at four different sites in in flood-affected areas. Our first distribution of 16 filters was with a group of women that work at Nadathara, an agricultural nursery center supported by KESS. Not only does the work pay an above average wage for the women to help support their families, but they have been providing seedling and agriculture kits to farmers in the area whose crops were completely wiped out by the floods. Our second and third distributions of 34 filters were to women that assemble electrical stabilizers in factories supported by the KESS organization that are geared towards women’s empowerment. Our final distribution of 50 filters was in the coastal area of Azhikode to women from a fishing village. This is a difficult area, with much of the water source contaminated by salt water and flooding. 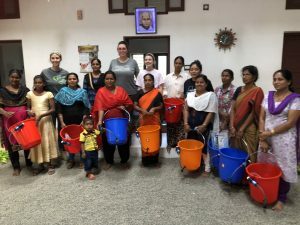 At each distribution, the women were so grateful to receive the filters, and in many cases, had already heard about the filters from women who received them on previous projects! 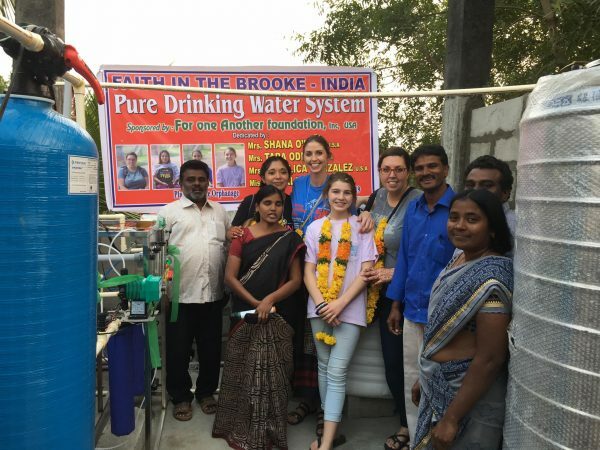 In addition to the filters FOA provided, we were able to fund a water plant and large-scale reverse osmosis filtration system at Brooke, another orphanage that is now providing clean water to a brick-making village in the state of Andhra Pradesh. They had a water well there, but as was the case at a previous orphanage we worked with, the well was salt water. The system is designed to not only support the small orphanage there with 26 children, but the clean water from this project is being made available to the villagers. When we visited, we were able to actually see the water system in action for the first time. We had a meeting with some of the locals to spread the word that clean water is available at the site. The brick-making villages are extremely poor areas where many of the children work making bricks instead of going to school. Ratnam, the head of Brooke orphanage, is providing transportation to pick up the children at the orphanage and any other village children they can get to attend school. 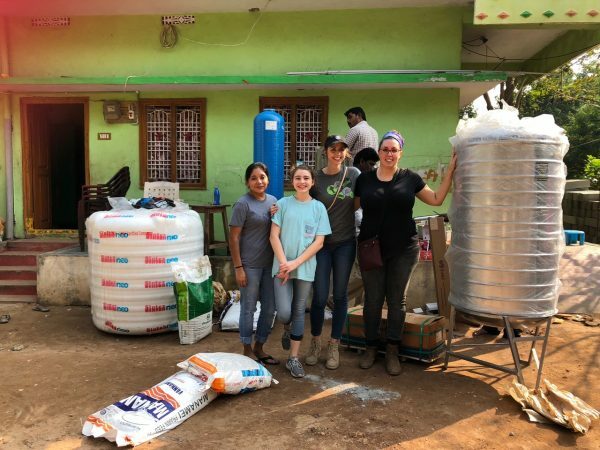 An update about the water project that was done in September 2017, when Savannah visited with Brent and Marie from Hope Abides: I was able to see that project running successfully, supplying both the school and villagers with clean water. The system is pumped to a convenient location that is easily accessible for locals, and I was able to see local villagers coming with jugs to access clean water. 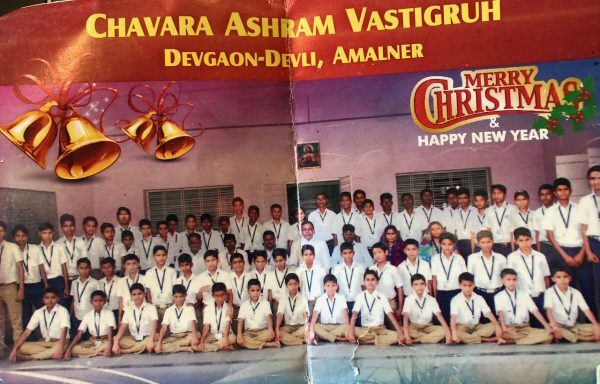 While in Andhra Pradesh we learned that the KESS organization runs a boys home and school in a village in the Jalgoan district of Maharashtra. This area in Maharashtra is severely drought affected and it is anticipated to get worse. We were able to meet with one of the priests that currently works at the village to learn about the work being done there and the current water needs. They currently house 80-90 students there. These are children from the local village and as well as surrounding tribal areas that do not have access to schools. The boys come and stay at the home so they can receive an education. Currently, the KESS organization is purchasing water tankers to try to help the local villages. The bore well and tank will allow the two nearby villages (with approximately 150 families in each village) to access clean water. Villages are currently coming to receive water from the tankers whenever they are available. The organization is purchasing approximately 5 tanks of water per day at great cost and doing what they can to support the communities there. Things are very dire for the local farmers who are already financially extended with agricultural and water loans. The suicide rate among the farmers is extremely high. We are working with For One Another and Hope Abides to ensure that the bore well and water tank project can begin soon, as the bit of rain they expect to receive will be arriving shortly and would be ideal to be able to collect and store the water for the rest of the year. Many thanks to Shana, Tara, Angelica, and Scarlett for their work on these projects! 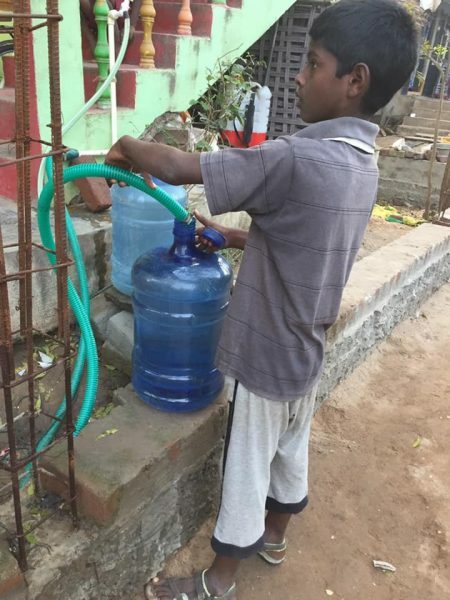 If you are interested in supporting the funding of the bore well and water tank project, you can donate here and comment “bore well, India” on your donation!